That's it from us for another week, we'll be back on Monday at 06:00 BST with more of the county's news, sport, travel and weather. The world's most famous piece of needlework now has a 21st Century companion, and they both tell the history of Sussex. Luke Wells hits an unbeaten 139 as Sussex reach 339-3 at the close on day one against Worcestershire at Hove. Southern will not run trains without a guard in return for Aslef suspending its overtime ban. These volunteers work tirelessly to keep NHS blood supplies pumping. A care home in Hove has been put in special measures after concerns were raised by relatives about the way it was being run. The Care Quality Commission (CQC) rated the Bon Accord home which cares for those with dementia as "inadequate" saying there were "systematic failings, poor leadership and management and ineffective governance". Inspectors found residents were at risk of social isolation, their safety was not adequately monitored and highlighted widespread concerns over their access to prescription medicines. "One person, whose room was on the upper floor of the home, and who had no access to a call bell, was continually crying and calling for help and was showing signs of apparent anxiety," the CQC reported. The home has apologised saying: "The wellbeing of people entrusted to our care is our priority and we are sorry that Bon Accord fell below the standards that we expect. "The CQC has been back into the home and has recognised that we have been making improvements." This fantastic weather continues (mostly) throughout the weekend. Watch my latest forecast for more. Video caption: Rachel Mackley looks ahead to this weekend's weather.Rachel Mackley looks ahead to this weekend's weather. It can cause cancer, blindness and disfigurement, and affects one in 3,000 children. But one young woman contacted us directly, to ask why so few people have heard of Neurofibromatosis. Missing: Have you seen Jennifer? Police say they're concerned for a young woman who's disappeared from her home in Crawley, two days after being involved in a disturbance. Officers were initially called to Jennifer Findlay's address in Southgate Drive on 25 May, but the matter was dropped when she didn't want to pursue it further. They visited again on 30 May after she was reported missing, and forced their way in when there was no response, but found her gone. It's thought Jennifer, who's 31, may have travelled to the Brighton area. 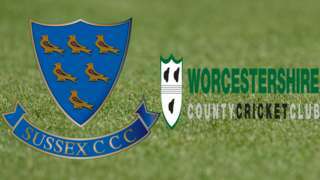 Listen to live BBC local radio commentary as Sussex face Worcestershire in the County Championship. For the next two weeks no Southern trains, aside from the Brighton mainline, will run in Sussex if a second member of staff isn't available. 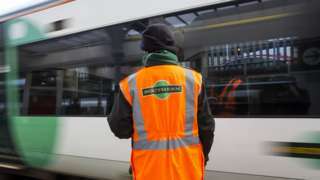 The operator has spent the last year in a dispute with the RMT and Aslef unions over the introduction driver-only operated trains, with the unions seeking a guarantee of a second member of staff on board at all times. Yesterday the drivers' union Aslef suspended its overtime ban for a fortnight. Today the BBC has learned Southern has agreed that, during this time, no trains will run without a second member of staff present, except on mainline and metro services. Is summer here for good? It's staying sunny for most of us, but don't risk leaving the umbrella at home. 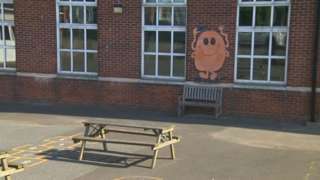 An academy chain that operates nine primary schools in Sussex and Kent is handing over the responsibility of running them. Missing: Have you seen Brian? Police are searching for a pensioner who's went missing from his home in Chichester earlier this week. Brian Simpson, who's 65 and uses a mobility scooter, hasn't been seen since 18:00 BST on Bank Holiday Monday. He was wearing a striped polo shirt, grey tracksuit bottoms and canvas shoes. Sussex are in action against Worcestershire at Hove in the County Championship. Having taken over the captain's role following Luke Wright's resignation yesterday, Chris Nash has been caught at mid-wicket for 22. There's anger at the use of a notorious suicide spot for extreme sports. We asked teenagers from across the South East what they would do if they were in charge of the country. It's part of our #PMfortheday series leading up to the general election. Video caption: #PMfortheday: Teens on education, the minimum wage and the homeless.#PMfortheday: Teens on education, the minimum wage and the homeless. A272 East Sussex both ways severe disruption, between Howbourne Lane and Five Chimneys Lane. A272 East Sussex - A272 in Hadlow Down closed and slow traffic in both directions between the Howbourne Lane junction and the Five Chimneys Lane junction, because of emergency repairs.